HP has released a new range of servers called Cloudline that makes it easier for service providers running hyperscale architectures to maximize efficiency while at the same time increasing cloud service agility. The family, which is a result of the company's joint venture with Hon Hai's Foxconn, was announced at the Open Compute Summit this week. It brings together HP's compute and service offerings with an original design manufacturer sourcing model, and HP is targeting the white box market. Open hardware and software are used by Cloudline systems, and the servers are designed in such a way that they can be plugged into OpenStack and multi-vendor environments. It is geared towards use cases that involve web servers, content delivery and big data, and the prices come in at a level that is around 10-25% cheaper than HP's current servers. The lineup includes five different rack servers powered by the Intel Xeon processor E5 v3 series product family. Among the products is a CL7300 2P server sled for memory and storage–rich compute applications, CL2200 high-capacity 2U 2P server for big data and storage-intensive cloud applications, and CL1100 1U 2P server made to deliver efficient front-end web performance. 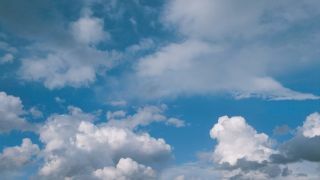 HP hopes that Cloudline's launch will open the eyes of the enterprise to the benefits of ODM servers and that it will be best placed to take advantage.